So what’s a “Tomato” tomatoes? Tomatoes are not defined by age or labels but are all about living and enjoying life fully, at every age and every stage. That’s you gals! Aren’t you cool? And here are some fun cool things to do in LA – like Salsa Sundays. Or how about Travel Town? 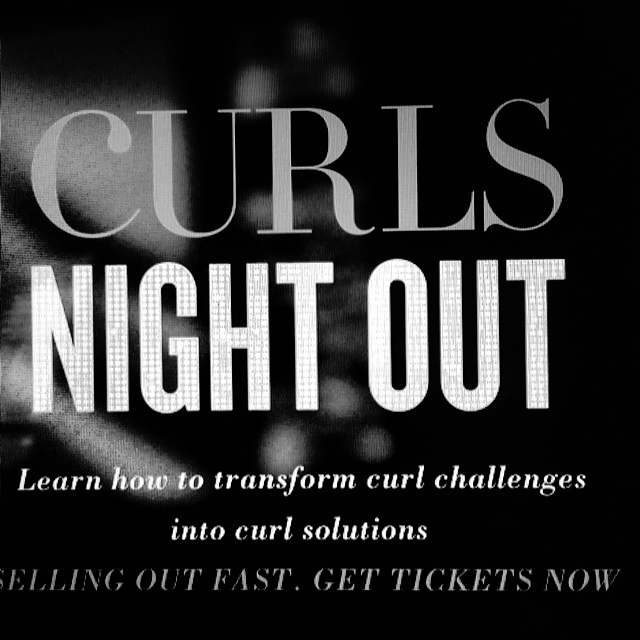 Instead of “Girls Night Out” what about “Curls Night Out” at the Devachan Salon. 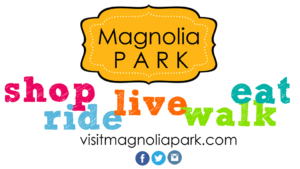 And if you love Halloween head to Magnolia Park in Burbank. Here’s the scoop. Magnolia Park Burbank is one of LA’s coolest retro main streets. 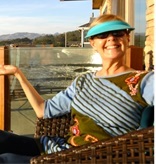 Small town charm with amazing choices of shopping and dining. And it is certainly a great place to hang out to truly get in the mood for Halloween. Their “Outdoor Movie Night” TONIGHT October 23rd is playing “Ghostbusters”, and there are a plethora of unique shops carrying a variety of super cool Halloween garb for the occasion. And then there’s Spooky “Ladies and Gents Night Out” October 30th with trick or treating at the stores, costume contests and food truck fun. It meets all your tomato Halloween needs. Check out their Facebook page. 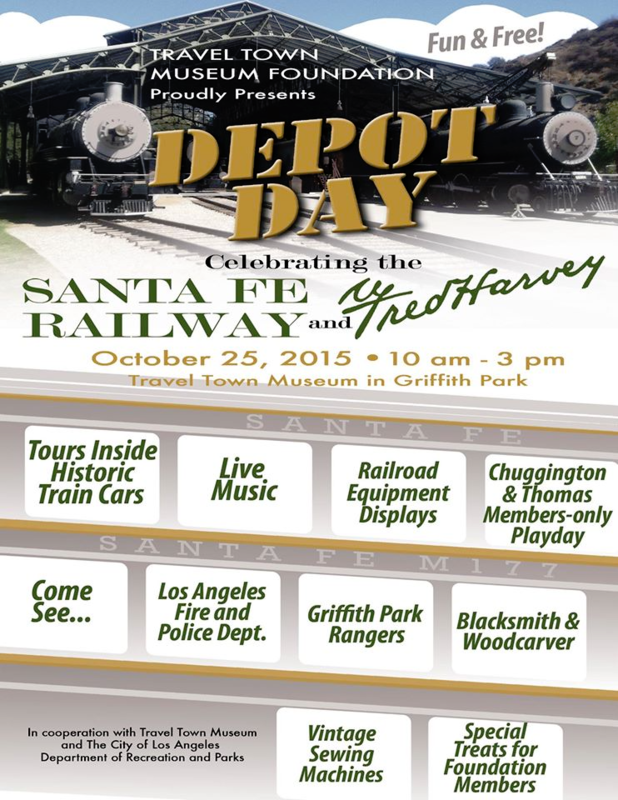 Travel Town and LA Parks and Recreation are “Celebrating the Santa Fe Railway and the Fred Harvey Company,” with their annual event this year. 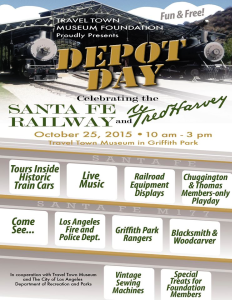 It promises to be very special day with tours of the historic M.177 railcar along with: tours of 1937 “The Little Nugget,” 1937 “Rose Bowl,” and the 1921 Diner #369, lots of festivities and music in Griffith Park. A wonderful outing for you, your family and railroad enthusiasts. There is a lot of history there gals. And it is free but you still need tickets. All Aboard ladies! Just in case you don’t know, the mission of the Travel Town Museum Foundation is to educate the public about railroad history as it pertains to the development of the Southwest Region of the United States, particularly the Los Angeles area. They fulfill this mission by restoring, operating, and interpreting the historic railroad equipment at the Travel Town Museum in Los Angeles. Nov. 5. Curls Night Out. If you are one of those divas lucky enough to be born with curls you may not have always felt so blessed. Well ladies, Devachan Salon has come to LA from NY and they are devoted to enhancing the beauty of curly locks and lending the support you need to style at home so you can start loving your curls. Devachan Salon LA is hosting its first-ever “Curls Night Out” with bloggers who love curls; curl experts, product demos, curl coaching, even a mini concert and a chance to win FREE salon services! Sounds like girls with curls have more fun! I always paid big bucks for perms to emulate the curly locks I didn’t have naturally. Many of us did. But for those who were born with curls it might be a different story. Deva Curl is the power behind Devachan Salons and they believe curly hair is bold, natural, beautiful, and it’s their mission to celebrate unique curls. Curls are their passion and since 1991 Devachan Salon has been a source for curl confidence. So it’s time for tomatoes with curls to feel lucky and fabulous! Oct. 25 & Nov. 1. Salsa Sundays. Time to loosen those hips and your spirit tomatoes! How? 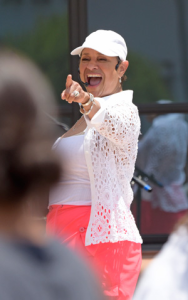 You can take a Salsa class with THE…THE Debbie Allen, dancer and choreographer extraordinaire of “Fame” fame, the next two Sundays. Wow! You don’t want to miss this! And you don’t have to be experienced. The Wallis Annenberg Center for the Performing Arts is always presenting great stuff but…this is Free! Start warming up gals. You also might want to check out “The Poet In Exile” this Wednesday October 28th also at The Wallis. This evening features works by and dedicated to composer Walter Arlen, presented as part of the Colburn School’s Ziering-Conlon Initiative, which preserves and celebrates the legacy of composers suppressed by the Nazi regime.